Debut winner Brooklyn Hustle has her second start in the Blue Diamond Fillies Prelude at Caulfield. Jason Warren expects the Blue Diamond fillies Prelude will be the right pointer towards Victoria’s premier juvenile race and the trainer is confident he has the horse in Brooklyn Hustle to deliver on the big day. 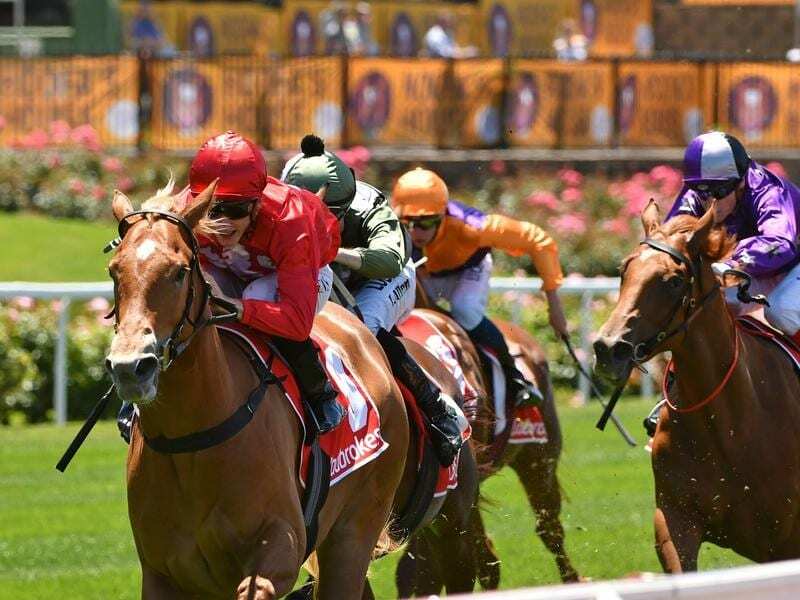 Warren has aimed two-year-old Brooklyn Hustle at the $1.5 million Group One Blue Diamond (1200m) on February 23 since the filly stormed to an impressive win on debut at The Valley on December 1. Brooklyn Hustle is set to race for the first time since her debut in Saturday’s Group Two Blue Diamond Prelude (1100m) for fillies at Caulfield, her final lead-in to the big race two weeks later. Warren believes the fillies’ have the wood on the colts so far heading to the Blue Diamond and Saturday’s fillies division of the Preludes has a field of 16 and features Catch Me, Brooklyn Hustle and Athiri who are all in the top four in the latest Blue Diamond market. “I think the Blue Diamond winner will come out of this race, and I wouldn’t swap our filly for any of them,” Warren said on Thursday. “She worked really well at Mornington yesterday and I’m really happy with her. Brooklyn Hustle has barrier 11 on Saturday but Warren does not see that as a negative, hoping the filly will settle off the pace with cover before trying to sprint past her rivals in the straight. He also declared he has left improvement to come, preparing the filly to be at her peak on Blue Diamond day. “She will be ridden with cover and I think it’s a nice barrier for her,” he said. “She’s not going to be driven along up on the speed. We’ll let her find her feet and hopefully she’s good enough to run over the top of them. Ben Melham has the ride on Brooklyn Hustle on Saturday and Warren said he had also been booked for the Blue Diamond. Brooklyn Hustle was the $4.20 second favourite for the fillies Prelude on Thursday behind Catch Me ($2.80) who has won the Gimcrack Stakes and the Blue Diamond fillies Preview in her two starts.